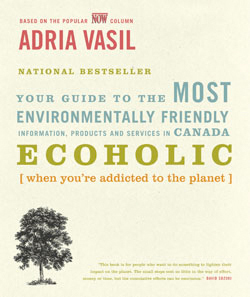 Adria Vasil, Canada’s straight-shooting green living expert, is back, and this time it’s personal . . . care, that is. 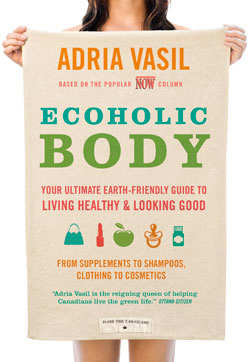 Her latest eco bible delivers the lowdown on virtually every product that comes into contact with our bodies. From the pollutants clogging your sinus meds all the way to the outlaw toxins leaching from your sandals, Ecoholic Body has you covered, head to toe. Never shy to blow the whistle, Adria calls out supplement and shampoo makers that exaggerate their green cred. This witty, indispensable guide will arm you with the knowledge you need to keep you and your family healthy, happy and green, all while detoxing the planet. View updates and corrections. Check out my Mean 15 list of the top body care ingredients to shelve for good! Get the 100% recycled print version or e-book! 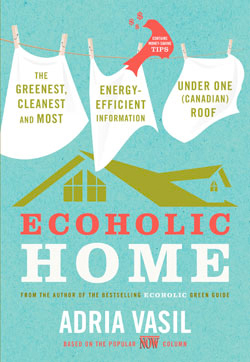 The most comprehensive green home book ever to hit Canadian shelves! Your home may be your refuge from the outside world, but it’s also ground zero for some serious green crimes. There’s a whole underworld of toxins and energy-hoggin’ happenin’ in that pad of yours. Luckily, Ecoholic Home gives homeowners, renters, condo nesters and even you dorm dwellers all the most up-to-date Canadian product and service info you need to eco-fy your private space—all while pocketing planet-friendly cash savings. So stop stewing in toxins, chucking energy out the window and feeding the trash treadmill, and start transforming your abode into an Ecoholic haven. Sold out in print but you can still buy the e-book! 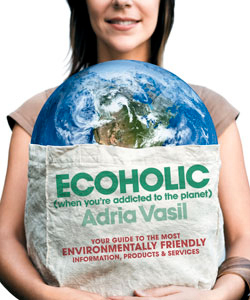 When the world’s environmental woes get you down, turn to Ecoholic – Canada’s best resource for practical tips and products that help you do your part for the earth. You’ll get the dirt on what not to buy and why, the dish on great gifts, clothes, home supplies and more, as well as advice on what seafood is safe to eat, what green cleaners actually work and a whack of solutions that’ll help you save the earth and cash. 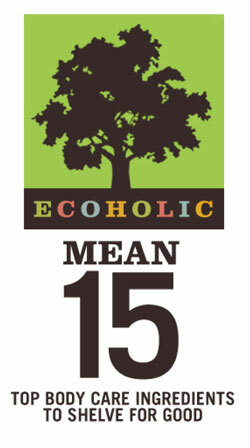 Based on the popular and authoritative “Ecoholic” column that appears weekly in NOW, Ecoholic is a cheeky and eye-opening guide to all of life’s greenest predicaments. Sorry, this edition is out of print but you can still buy the e-book! Packed with info for American audiences!